One of the biggest and arguably most important investments you’ll make in your lifetime is owning a home. When you do finally become a homeowner, you’ll want to ensure you do everything in your power to take proper care of it — your roof included. Save your future self some time and money by hiring a professional roofing company to regularly perform maintenance on your rooftop. At Hometown Roofing, LLC., we are your go-to, reliable team of roofers when it comes to roof repairs in Dallas, as well as many other roofing services such as maintenance, replacement and more. We’ll do whatever is necessary to ensure your roof stays in mint condition — both functionally and aesthetically. Contact us today to schedule an appointment for your next roofing project. Below, you’ll find a few more reasons why you should hire a professional roofing company to conduct regular roof maintenance on your home. In general, emergency roof repairs are more costly than initial minor repairs. When you have a professional regularly check up on your roof, you’ll have the ability to address a minor roofing issue before it has the chance to turn into a major roofing issue. 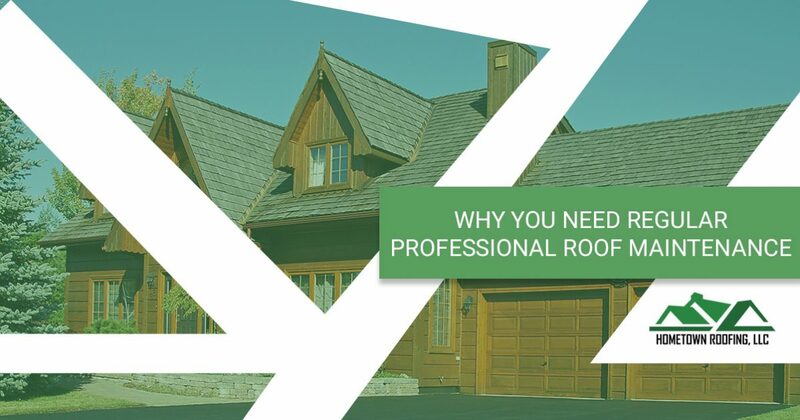 Also, when you’re aware of the status of the roof on your home, you can rest assured that you’re one step ahead of most other homeowners, who tend to entirely forget about the condition of their rooftops. It’s as simple as this: the quicker you know about a problem, the quicker you can fix it. When your roof is old and creaky, it’s probably not very energy-efficient either. When you opt for regular roof maintenance services, our roofing experts will inform you of any issues on your roof that could potentially be increasing your monthly energy bills. From there, you can decide to repair or replace your roof — both of which can help with the overall energy efficiency of your home. Oftentimes, when you forget about your roof, you won’t know if there are any harmful substances growing on it. For example, over time, mold, mildew and other toxic substances can grow and expose themselves on your roof. These substances can eventually damage your roof and affect the health of you and your family. When you aren’t receiving regular roof check-ups, you probably won’t ever know that those harmful substances are there — how could you? Our professional roofing experts can make you aware of these issues when they perform their routine maintenance, allowing you to get rid of these harmful substances before they get out of hand. Again, it all comes down to this: knowledge is power. When you are attentive and aware of any issues occurring on your roof, you can fix problems as they come up. We truly believe that whenever you put effort and care towards something, it lasts longer, whether that be something as simple as a flower pot or as large as your rooftop. No matter how old your roof may be, proper and routine roof maintenance will make it look better. Regularly clearing out your gutter system of leaves and other natural debris and addressing any broken or missing shingles goes a long way in regards to the curb appeal of your home. Our professional roofing team will strive to make your home look brand new any time we touch it for its regular maintenance. 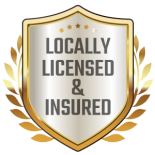 If you need a roofing company you can trust to tackle your roof repair and maintenance services with efficiency, look no further than Hometown Roofing, LLC. in Dallas. 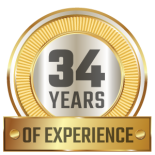 With more than 34 years of experience in the roofing industry, we know what it takes to provide you with a rooftop that will last you long-term. 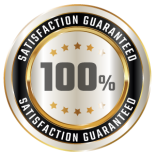 Our roofing company has an A+ rating from the Better Business Bureau for a reason — we’re some of the most trusted roofers in the community. For more information regarding our Dallas roofing services, don’t hesitate to reach out to our team. We can also provide you with a free roof inspection. Contact us today online or by calling (888) 798-2917 — we’re open 24 hours a day for any of your emergency situations.